One of our most popular items. 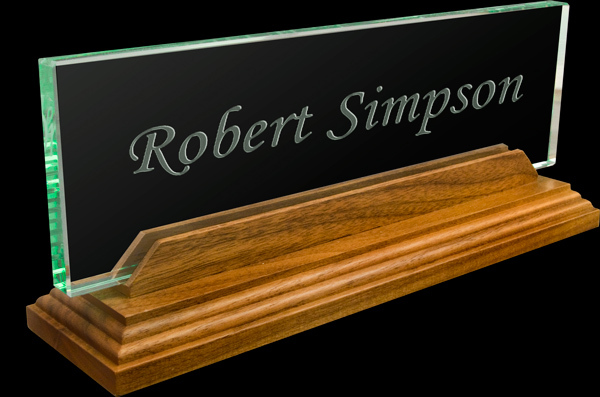 This desk plate combine sglass and walnut for a bold look, and adds a touch of class to any office. We etch your name on the back of the glass so that it shows through to the front. The desk plate is made of jade glass displayed on a walnut base. Glass size: 3" x 10", overall size: 4" x 10".